Shannon Clardy is an Associate Professor of Physics and Engineering and Adjunct Professor of Double Reeds at Henderson State University and has served at this institution for the 10 years she has been teaching full-time at the collegiate level. She holds a Bachelor of Science degree in Physics and a Bachelor of Music Degree in Oboe Performance from Southern Methodist University and a PhD from the University of Arkansas at Little Rock in Applied Science with research in astrophysics. Her current research interests are in aerodynamics pertaining to high powered rocketry and the efficacy of science pedagogies. 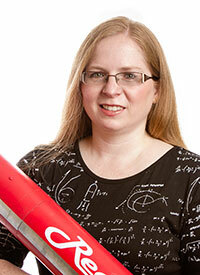 She has led several student-driven research projects in acoustics, astronomy, engineering, and optics. Her passion is science outreach and making science accessible.